The handset maker Huawei launched the Mate 20 and Mate 20 Pro smartphone with the Huawei Mate 20X during the event organized in London on Tuesday. 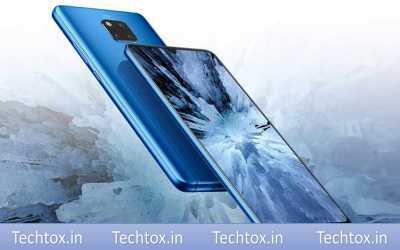 Huawei Mate 20X, Mate 20, Mate 20 Pro, you will find premium features such as 40 watts super-charging technology, three rear cameras, high screen-to-body ratio, and latest flagship high-silicon kirin 980 chipset in all three smartphones. Mate 20X will have a 24-megapixel front camera for selfie and video calling. 6 GB RAM / 128 GB variant of Huvaway Mate 20X has been launched. The price of this variant is 899 Euro. The sale of Huawei Mate 20X will start in the selected European market from October 26. This smartphone of the customer Huvaway brand will be sold in Midnight Blue and Phantom Silver colors. Huawei Mate runs on EMUI 9.0 based on the 20X Android 9.0 pie. It has 7.2 inch (1080 x 2244 pixels) full HD + AMOLED display. The smartphone uses the Haecilicon Kirin 980 processor. The phone has received the IP 53Water and Dust Resistance Ratings. It has a 5,000 mAh battery to blow. There will be a triple rear camera setup for photography, 40 megapixels (wide-angle lens) primary sensor, 20-megapixel ultra-wide lens, and 8-megapixel telephoto lens. There is a 24-megapixel front camera for Selfie and Video Calling, its Apache is F / 2.0. Mate 20 X Huvaway comes with M-Pen support.The length of the phone is 85.4 x 174.6 x 8.15 millimeters and its weight is 232 grams. 128GB storage is available to save photos, video, and other things, it is possible to extend the storage to 256 GB with the help of the Nano-Memory Card. Speaking of connectivity, 802.11 A / B / G / N / AC, Bluetooth, Type-C support is included. Ambient Light Sensor, Fingerprint Sensor, Gravity Sensor, Compass, Gyroscope, Hall, Laser Sensor, Barometer, Color Temperature, and Proximity Sensor are part of the phone.